The Atlantis Neptune bath tub has an outer square shape with an interior almost as square but with flowing curves at each corner. 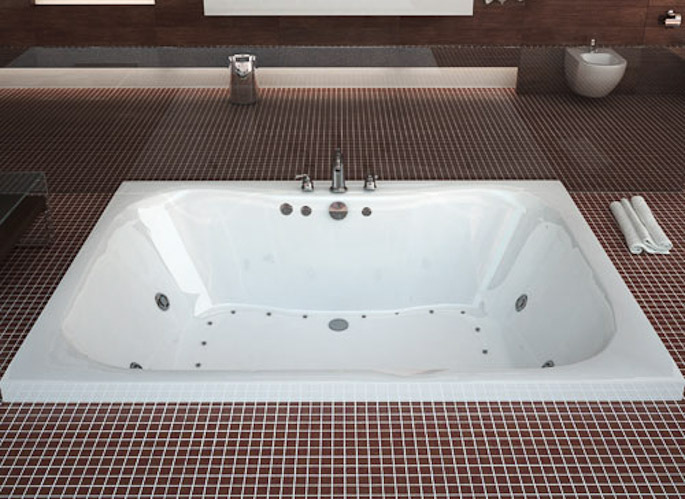 The Neptune bath tub is also very spacious and can easily fit two adults comfortably. The drain is conveniently centered to the side. Available as a soaking tub, air tub, whirlpool tub or combination air/whirlpool. Call 800-720-1062 for more details. 58" x 40.5" x 0"